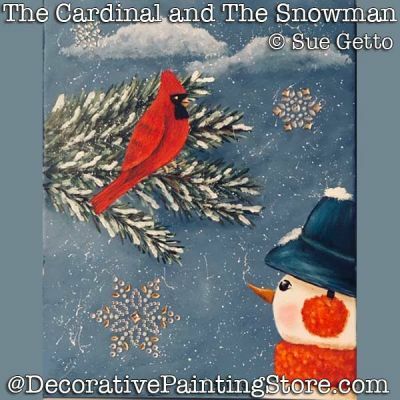 Cardinal on branch with snowman below. Painted on 11"x14" canvas board using acrylics. Embellished with glittery snowflakes.